It was at the start of the Channel Crossing swim - convenient. Great room location re: beach and not very large hotel (30-35) rooms in duplex design. Bar/restaurant were satisfactory (ate 90% of my meals there). Enjoyed my stay at a sort of mom and pop place. Staff always seemed to know what room I was in. The relaxing atmosphere. The owner and staff were very friendly. It was nothing fancy but it was just what I was looking for. Nice rooms, nice bar, and nice restaurant. 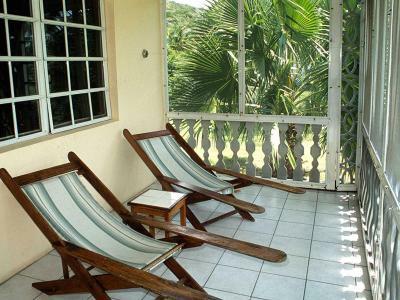 Wonderfully spacious room on the top floor of the two storey house, with large completely screened veranda and great views across the gardens to the sea. Very peaceful location, despite being very close to the water taxi jetty. Possible to take fixed price taxis to Charlestown and the various sites of interest. Lots of fresh fruit and the cooked breakfasts were tasty. Grass kept neat by resident sheep flock, tree pruning by wandering cattle, monkeys and humming birds adding to the entertainment. Great restaurant fresh and homemade. The staff were really nice and friendly and eager to please. Taxis were available at the property. 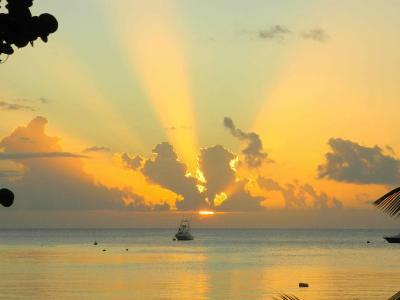 We took a private island tour for $75.00 and saw all the hidden gems of the island. We would recommend TC she was our driver for the tour. Very quaint. Our taxi driver Tin Tin was GREAT! Was available whenever we needed him. Very quaint and quiet, an excellent getaway. Sit and read, walk, swim. Easy access to town with friendly taxi drivers.. Ate at a nearby restaurant- they didn't want us walking back in the dark and gave us a ride back ! Above and beyond for sure. We loved the setting right on the beach! The food was great at the restaurant and the servers were wonderful! We loved how quiet it was at night. 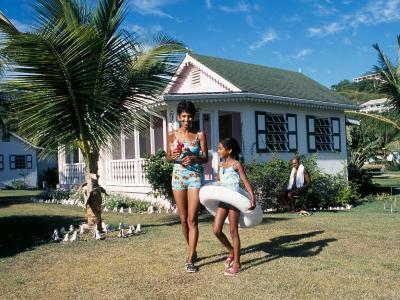 I liked the little bungalows, the nice, clean beach, the lounge chairs. 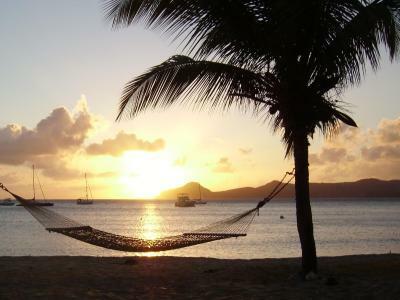 I would recommend this place for people who simply want to relax. 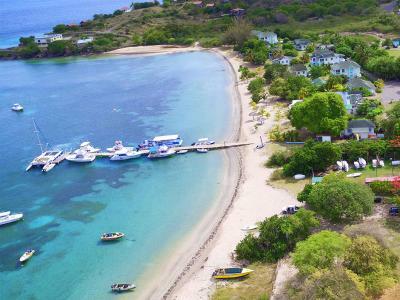 It is located just where the water taxi arrives from St Kitts and that is a 5 minute ride, and Wincent, the owner of the water taxi business, was gracious. It was a local resort and very relaxing with the ocean and restaurant and bar. 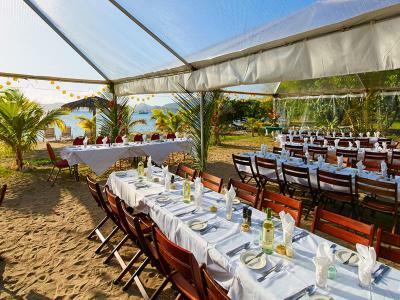 Oualie Beach Resort This rating is a reflection of how the property compares to the industry standard when it comes to price, facilities and services available. It's based on a self-evaluation by the property. Use this rating to help choose your stay! 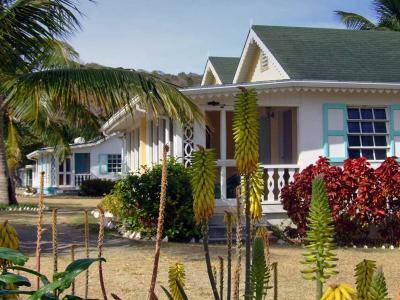 Located right on Oualie Beach, this family-run resort offers lush gardens and charming rooms set in Caribbean-style cottages. 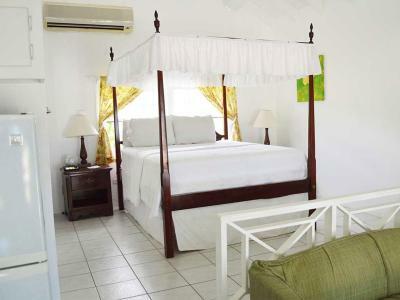 Each room at Oualie Beach Resort has a screened veranda and wonderful sea views. 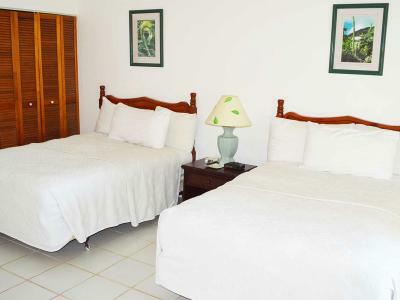 The air-conditioned rooms feature elegant white décor and canopy beds. 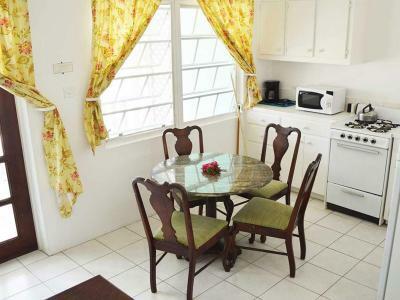 Each room has a refrigerator, a coffee maker, free WiFi and a TV. Bathrooms include a hairdryer and free toiletries. 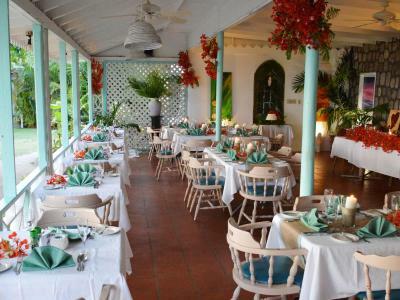 Oualie Beach Resort has a restaurant where you can enjoy international as well as characteristic Caribbean cuisine. 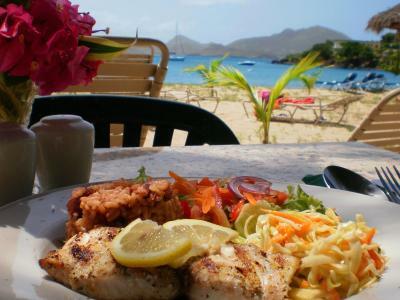 A local restaurant which specializes homemade local drinks and fresh seafood. 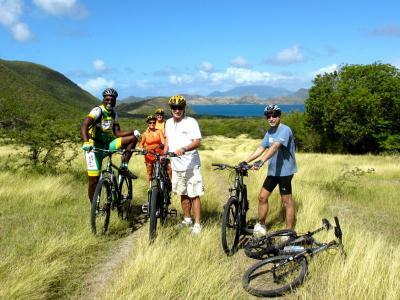 Staff at the Oualie Beach Resort can arrange car or bicycle rentals and provide information about the island. 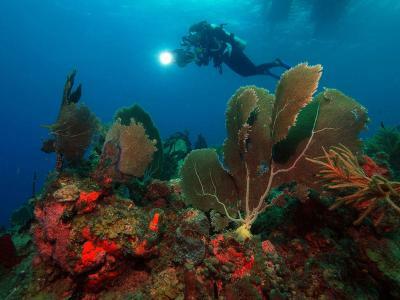 Popular activities in the surrounding area include scuba diving, snorkeling and sailing. 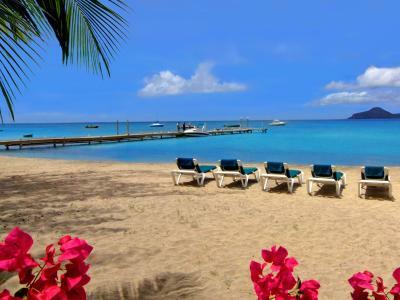 The Oualie Beach Resort is located at the north-west tip of Nevis, overlooking the neighboring island of St Kitts. 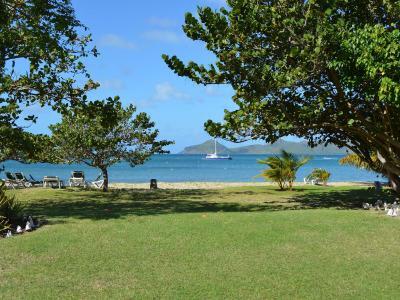 It is just 1.9 mi from Nevis International Airport and 8.1 mi from the Nevis Botanical Gardens. When would you like to stay at Oualie Beach Resort? 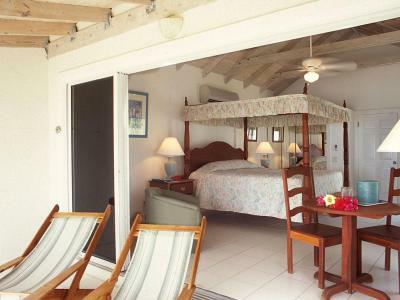 Set in a charming Caribbean-style cottage, this air-conditioned room offers a large screened veranda with wonderful sea views. It has elegant white décor, a canopy bed and a seating area. It also offers a fridge, coffee maker, free Wi-Fi and a TV, while the bathroom includes a hairdryer and free toiletries. 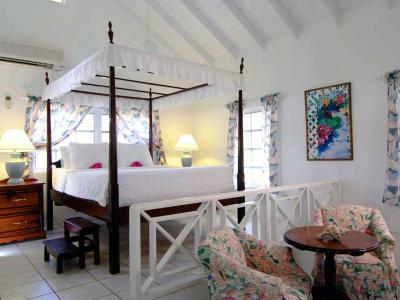 Set in a charming Caribbean-style cottage, this air-conditioned room offers wonderful sea views. It has elegant white décor, a canopy bed and a seating area. It also offers a fridge, coffee maker, free Wi-Fi and a TV, while the bathroom includes a hairdryer and free toiletries. This studio has a seating area, toaster and sea view. 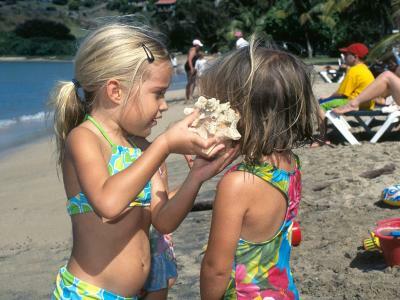 House Rules Oualie Beach Resort takes special requests – add in the next step! Oualie Beach Resort accepts these cards and reserves the right to temporarily hold an amount prior to arrival. We staid only 2nights (wish we had more time) so following didn’t concern us too much. But should you want to stay longer. You should definitely rent a car or find a way to move. You might otherwise feel a bit “trap” but this is the case in most small islands. Service at breakfast & at the bar was very slow but it is the Carribean. 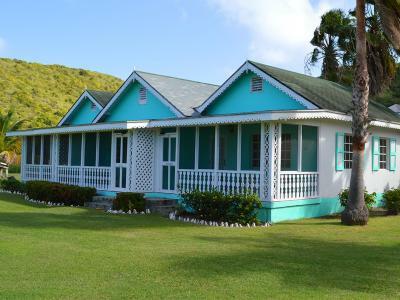 It’s definitely a ‘shabby chic’ kind of hotel but if you want ‘real’ Carribean this is your place. Very quite, very relaxing, nice large rooms. My duplex unit was spacious enough for a couple and was generally in good shape. But I don’t think the maintenance was active. The salt air seeks the weak spots and there was abundant evidence of it (screen porch, peeling paint in closet, loose shower knobs - a handful of little things). Oh yes, it rained my last night and the roof had a leak although jut a drip. Finally, I would would not charge food and drink to room again. It makes for an almost incomprehensible bill at checkout due to the breakdown of every transaction with taxes, fees and tips. Pay as you go. Location is very pretty. Possible to walk to beach barefoot. Very laid back, no feeling of large hotel. Food does not measure up to the setting. Breakfast was complicated and rather expensive unless taken as a room plan. Milk and butter were served by the thimbleful (I understand that there is no dairy industry in St Kitts & Nevis) but didn't really understand why jam came in tiny portions too. Dinner was variable, and seemed expensive when compared to the nearby restaurants with excellent kitchens. The food is very very good and high quality, but quite expensive. If you have a tight budget it is recommended to head with the mini bus to the city to buy some supplies from the supermarket. The bed was a little to hard for our liking and the furniture was dated. The bathroom could do with an up grade. The staff were helpful. The room was very spacious and comfortable. Loved that they had Amazon TV. The add said there was a pool...there is no pool. We booked an upgraded room, but were given a below standard room that we had to argue to be moved. Not a good experience. The place is in the middle of nowhere and we had to take taxis everywhere. The beds were old and very uncomfortable. I felt as if I was sleeping on the bare springs. Rooms are outdated. It would have been nice to have a microwave in the room as well.